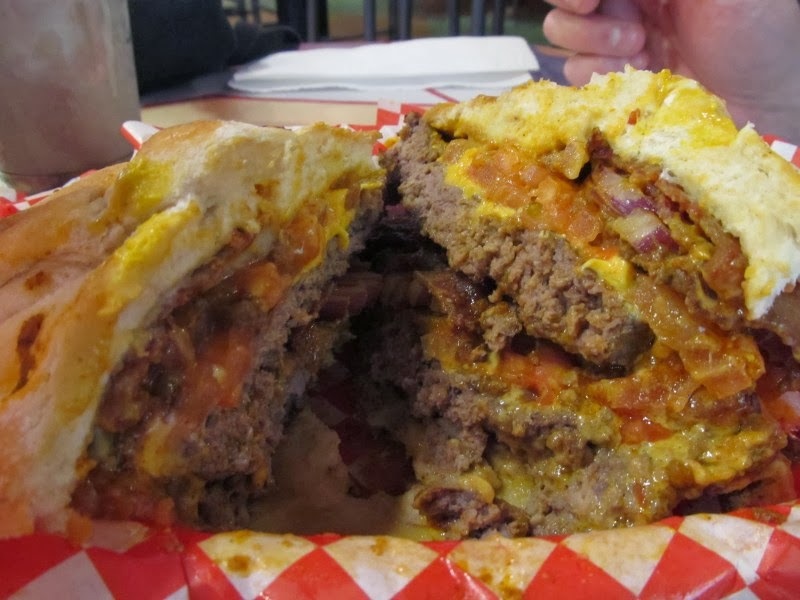 Burger Club spares no expense in our quest for the best burger. 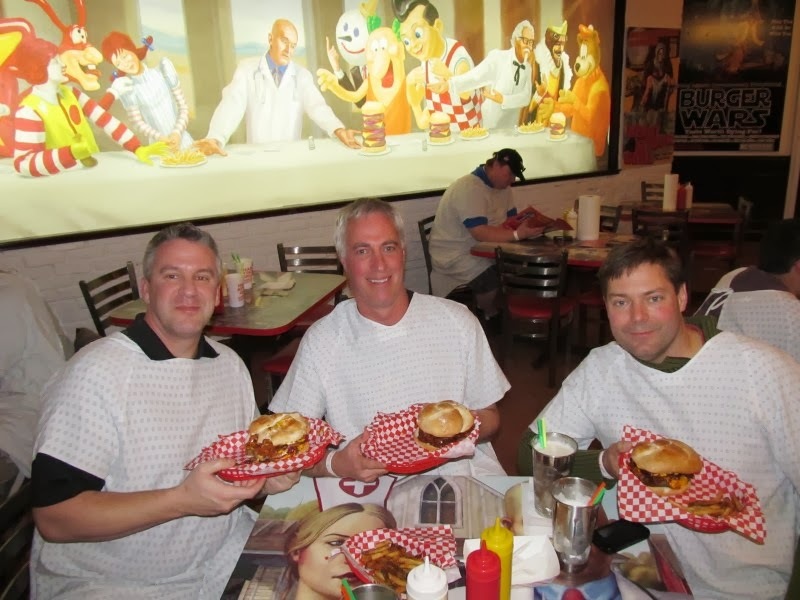 This week our committed reviewers went international to Heart Attack Grill in Las Vegas. 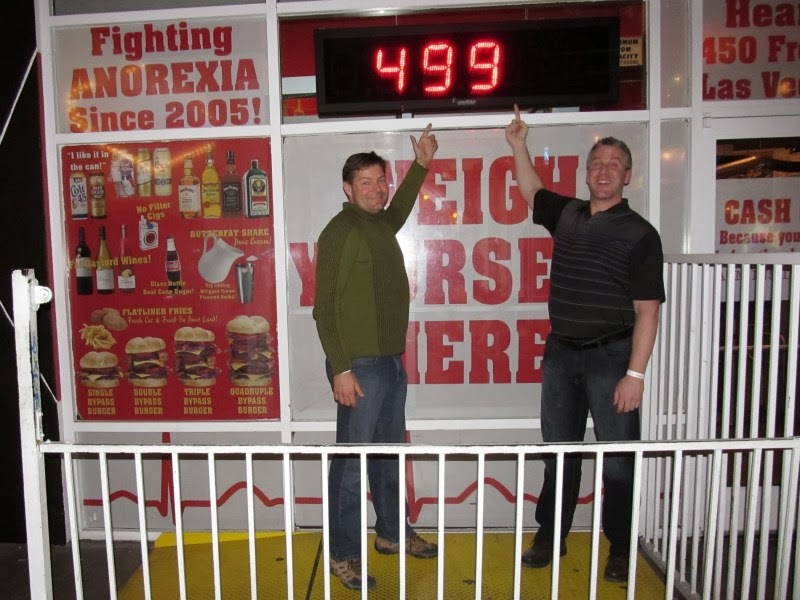 Only three of us cleared customs though, with the rest of Burger Club denied entry for various nefarious activities. 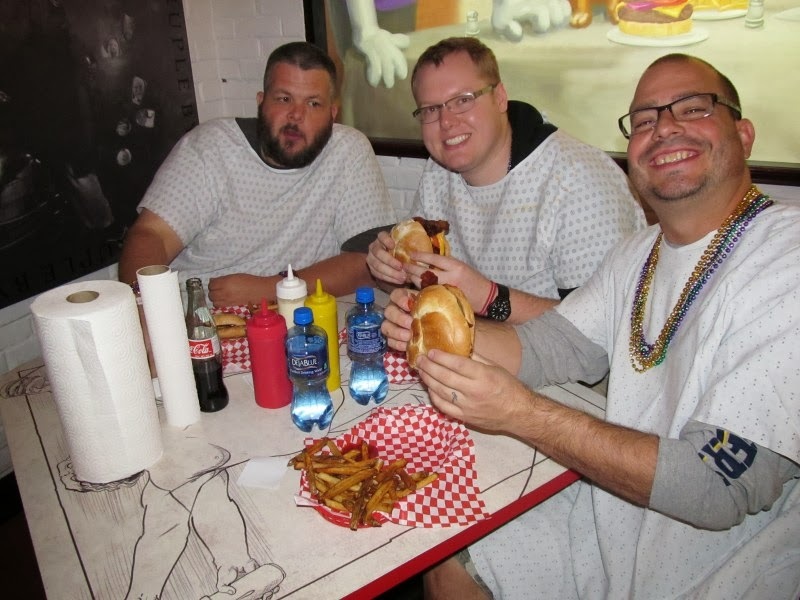 To maintain our minimum standard of six reviewers, we enlisted the help of three local burger experts who happened to be sitting at the table next to us. Heart Attack Grill is located amidst the seizure inducing cacophony of light and sound that is Fremont Street in downtown Fun-Vegas. 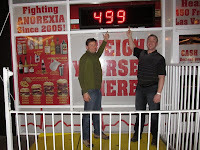 They have slogans like “Over 350 lbs Eats Free”, and make a butterfat shake with the “World’s Highest Butterfat Content”. 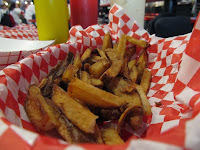 The menu includes Triple and Quadruple Bypass Burgers as well as Flatliner Fries cooked in pure lard. 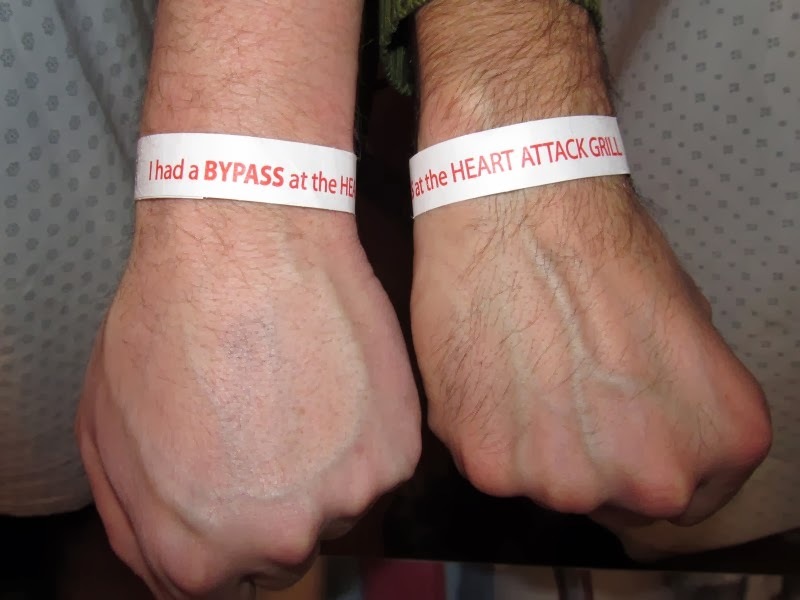 Heart Attack Grill is also known for its nurses and spanking. 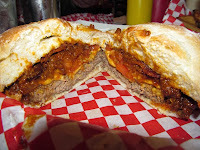 If you don’t finish your burger, you get spanked. When you enter you're greeted by nurses who put on a wristband and help you into your hospital gown. My bacon Christmas Tree t-shirt was met with squeals of delight from the nurse-hostess who immediately wanted a picture. The service can’t be beat. One of our new burger friends had a story about forgetting his glasses at Heart Attack Grill last year and how they FedEx’d them back the next day - no charge. Our enthusiastic nurse-waitress Katya was lots of fun, and when asked, she said “it’s a B+ burger but people come for the atmosphere.” Yup. 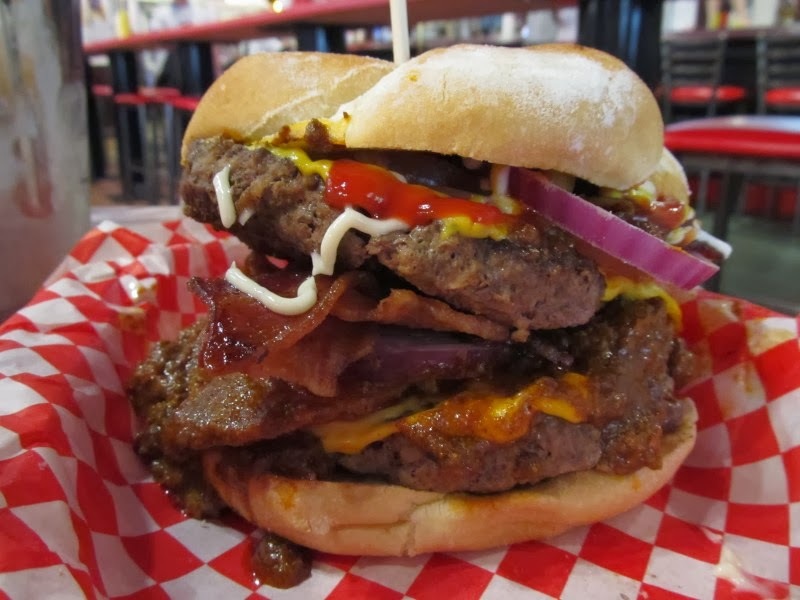 I ordered a Single Bypass bacon chili burger that comes standard with five slices of bacon. The double has ten slices on it. Brett ordered the double because he wanted to make sure he couldn’t finish his. 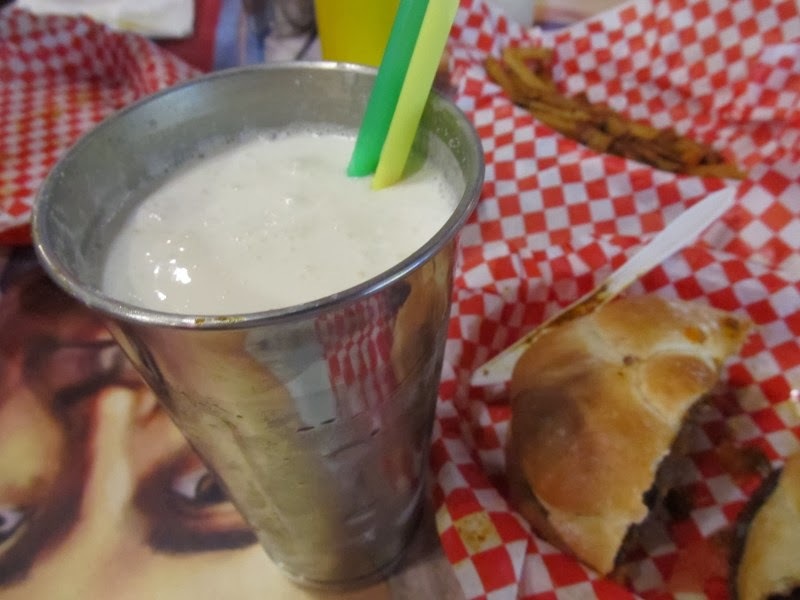 “I did not come to Vegas NOT to get spanked.“ Burgers taste even better with a milkshake, and in Las Vegas style they are made with Vodka – lots of it. I had the vanilla ice-cream with whipped cream flavoured Vodka. I highly recommend it. Brett opted for the chocolate with bacon flavour. The shakes were large and came in their steel mixing cups and made me very happy before I was even halfway through. 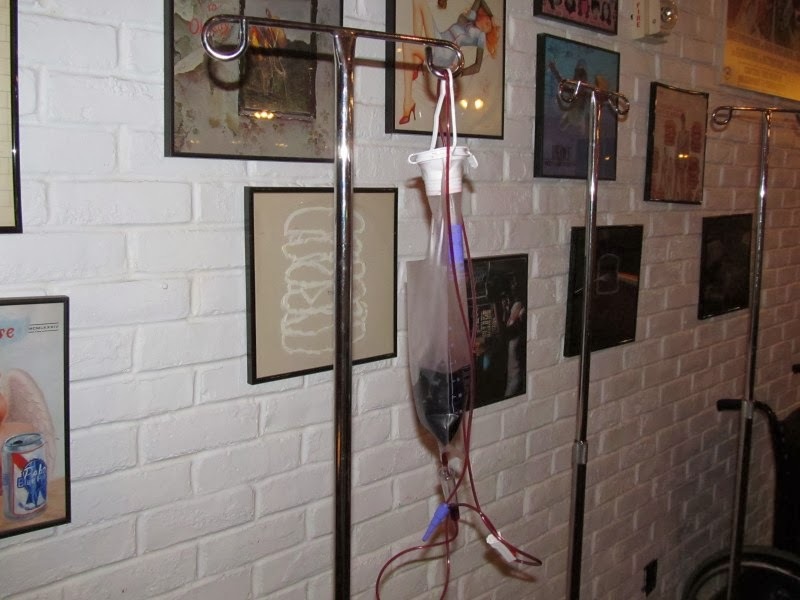 If you order wine, it comes in an IV bag. We didn’t wait too long before our burgers were served in little check paper lined baskets. They were very handy for containing the inevitable fallout. 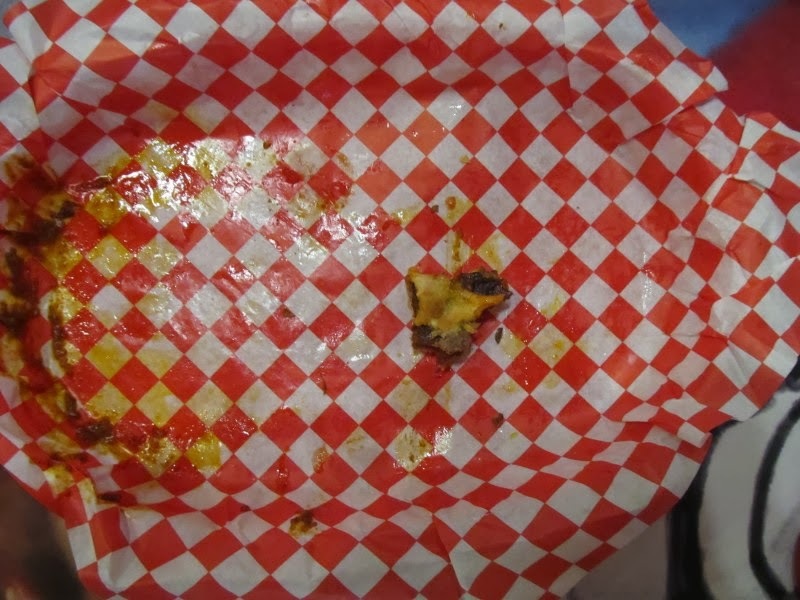 The burgers were skewered with a toothpick so bonus points for assembly. 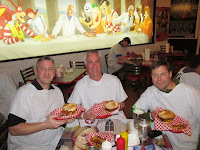 The three of us enjoyed our burgers, but the other table of judges *really* enjoyed theirs. 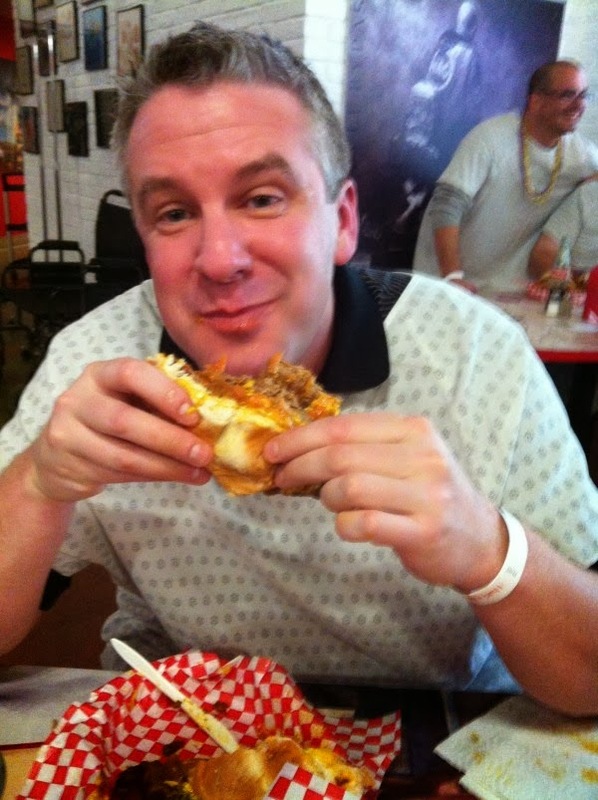 I suspect the more beads you’re wearing when you come to Heart Attack Grill, the better the burger tastes. 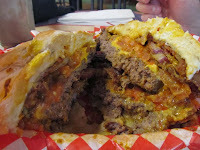 Jacques pointed out that the “Burger is not the main attraction. Even though I finished I got a spanking.” To be fair though, Jacques didn’t finish his burger - he left a tiny morsel in his basket. In the end, we all got a spanking. Got high markets for Service and Quantity, I'll bet. I want to try out their good food, I really do, but the thought of not finishing, and getting spanked leaves me in anxiety, and panicked, so sadly, I have no choice but to skip this establishment. 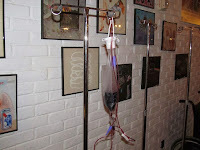 I'm just not into pain. PERIOD!